Danish boxing legend Mikkel Kessler is backing Dennis Ceylan (17-0-1, 8 KOs) to win the European Featherweight title when he meets British Champion Ryan Walsh (21-1-1, 10 KOs) on Saturday night at the Arena Nord in Frederikshavn. Kessler, a former five-time World Champion, has offered the Aarhus-boxer some words of advice ahead of his European title challenge, and says he believes the 27 year-old has the ability to emulate his success and become Denmark’s next World Champion. ‘’Dennis has a lot of potential,’’ says Kessler. ‘’He is technically a very good all-round fighter. He can punch, he can box, and you tell he’s thinking about what he’s doing in the ring. It will be a tough fight for him, but I believe he can do it. ‘’If I could offer him some advice, it would be to keep a cool head and remember what he’s been told in the gym, as no matter how many people there are, and how big the occasion, it’s just him and his opponent in the ring. ‘’I never got the chance to fight for the European title, of course, I was happy with my World title fights, but the European title is a very prestigious belt, and it is a big step forward to becoming the best and fighting for World titles. ‘’If Dennis wins this fight, I think he can go all the way. It will be interesting to see how he copes when he’s put under pressure. I hope he is training well and living a healthy life as that will give him the extra 10% he needs. 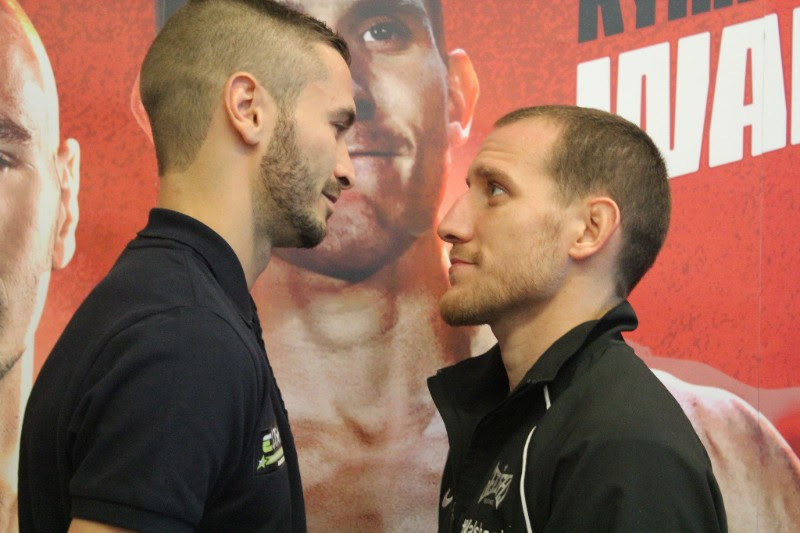 Dennis Ceylan’s European title fight with Ryan Walsh tops a blockbuster bill at the Arena Nord in Frederikshavn on October 15. Rashid Kassem faces his toughest career test against British boxer Joe Murray, Abdul Khattab takes on Bartlomiej Grafka, Dina Thorslund faces Oksana Ro-manova, and professional debutant Mikkel Nielsen meets Andrei Dolhozhyieu.